WASHINGTON – Today, the American Energy Alliance launched a multi-state digital ad initiative urging Washington to repeal the failed Renewable Fuel Standard as special interests seek more handouts within this broken and outdated big government policy. “For more than a decade – as our nation’s energy outlook has positively transformed thanks to free market competition and private sector ingenuity, not government’s heavy hand – American consumers, family farmers, and refiners have suffered under this economically destructive policy,” said AEA president Thomas Pyle. As the White House holds yet another meeting this week with lawmakers over so-called RFS “fixes,” AEA urges the Trump administration and Congress to swiftly and fully repeal this harmful mandate. The six-figure initiative encourages voters to let Washington know that the broken RFS continues to harm American farmers, consumers, and businesses to the benefit of certain special interests. 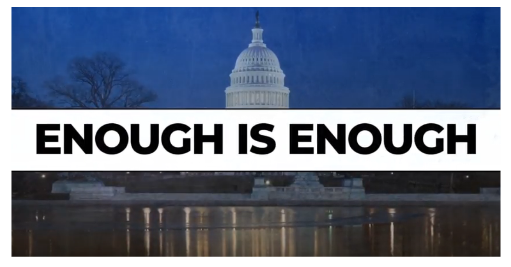 The ad will run across ten states (Delaware, Iowa, Maryland, Nebraska, New Mexico, Oregon, Pennsylvania, South Dakota, Texas, Wyoming) and Washington, D.C.
Watch the ad online HERE. Full text below. The Renewable Fuel Standard was supposed to help American farmers and make our country energy independent. But after ten years, consumers, family farmers, and American refiners are stuck with the bill. Now, special interests in Washington are fighting for handouts that will make things worse. Tell Washington to repeal the RFS. We need real reform, not more special interest handouts.